This report, by Wood, accompanies the CCC’s UK housing: Fit for the future? report, published in February 2019. 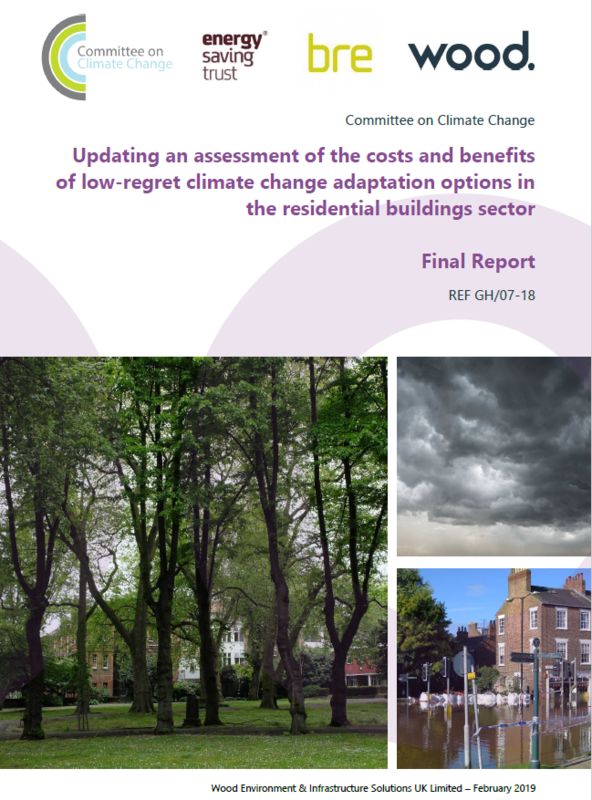 It was commissioned by CCC’s Adaptation Committee for the purpose of presenting updated cost curves for a range of building scale adaptation measures for the UK, updating previous workings developed by Davis Langdon (2011) as part of the “Research to identify potential low-regrets adaptation options to climate change in the residential buildings sector” project.